Ander Herrera is set to stay at Manchester United despite the interest from PSG. 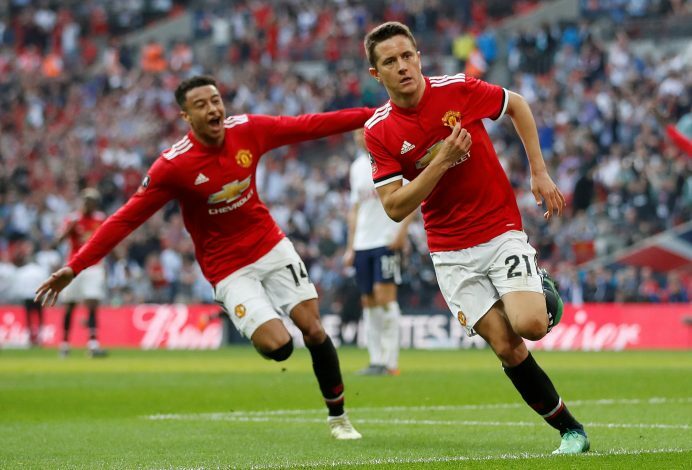 As per the reports emerging from Spain on Thursday, Herrera appeared set to complete a free transfer to Paris Saint-Germain at the end of the season, upon the expiry of his current Manchester United contract. The source also added that the Parisians were willing to offer a lucrative three-year deal to the Spaniard, which the tenacious midfielder was very likely to accept. But now, Manchester Evening News have offered a contradictory update, claiming that the news of Herrera’s move to Ligue 1 is “wide off the mark”. The English outlet states that Manchester United are quite hopeful of holding on to their fan-favourite star, and Herrera’s representatives also expect him to stay put at Old Trafford. The 29-year-old is happy to play under Ole Gunnar Solskjaer at the Theatre of Dreams. In fact, the player himself has urged the club’s top officials to hand over the permanent managerial reigns to the Norwegian tactician. Speaking to FourFourTwo Magazine, the Spanish international had stated: “It’s not my business and I respect the decisions of the people that work for the club.